Getting Clean Fast: What is Rapid Detox and How Does It Work? For so many addicts, the dread of withdrawal keeps them from getting clean. In these cases, rapid detox may be able to help. Find out more here. Are you considering a rapid detox to help overcome your drug addiction? If you’re battling a drug addiction, rest assured that you are not alone. Research indicates that roughly 1 in 10 Americans are suffering from a substance abuse problem. While attending a drug rehab center is surely one of the best ways to overcome your addiction, it’s never an easy decision to get clean. For many addicts, the most challenging aspect of getting clean is the dread of the withdrawal process. The withdrawal process is characterized by extreme flu-like symptoms and significant bouts of depression and anxiety. While the timeline can vary depending on the drug, these symptoms can last from a few days to several weeks. Fortunately, procedures such as rapid detox help to minimize the effects of withdrawal and heighten your chances of overcoming addiction. 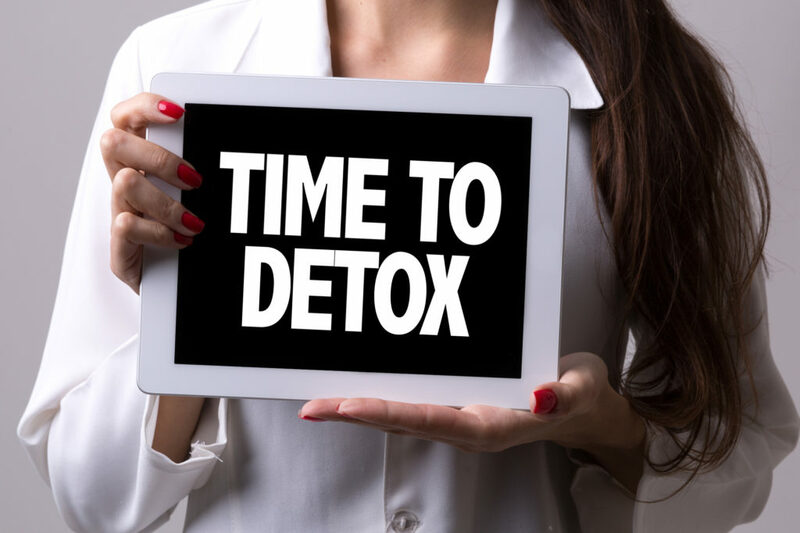 If you’re looking to learn more about rapid detox and what it can offer to addicts, you’re going to want to read this. We’re outlining everything you need to know about rapid detox. In today’s world, the use of opioids has become a national crisis. In fact, over 115 Americans die each and every day from overdosing on opioids. This includes anything from prescription painkillers, fentanyl, and heroin. With these numbers, it’s clear that this is a serious problem that requires a serious solution. This is where some patients may consider using rapid detox to overcome their addiction. In doing this, the recovery is not only less painful, but it’s also more likely the patient will successfully overcome the detox process. How Does Rapid Detox Work? In many cases, the doctor will provide the patient an opioid blocker. This blocker helps to accelerate with symptoms of withdrawal and speed up the entire process. However, this does not entirely dismiss each and every symptom of withdrawal, so the doctor will often provide sedative medications. This allows the patient to feel more comfortable throughout the process or even sleep through the bulk of the process. The idea is that the patient will awake from their rapid detox and the drugs will be removed from the body. With the drugs being flushed from the system, the withdrawal process is much easier. While the process of rapid detox may only be 4-6 hours, the patient is monitored overnight. For the best results, it’s best to look at rapid detox as part of a much larger process. After all, it’s crucial to understand that rapid detox is not a one-stop solution. That being said, it’s best to combine rapid detox with other forms of addiction treatment. For example, the patient may receive rapid detox and then commit to residential treatment or an outpatient center. Here, the patient is able to work alongside doctors and psychologists and learn how to prepare for life in recovery. Who Can Benefit from Rapid Detox? First and foremost, rapid detox is for addicts that are suffering from an opioid addiction. It’s important to understand that rapid detox is not a 100 percent solution for curing addiction. Instead, it helps to ease the pain and suffering of withdrawal. It also helps to increase the likelihood the patient will successfully overcome the challenges of withdrawal and their addiction. While it has proven to be effective for many addicts suffering from an opioid addiction, it’s not a perfect solution. If this feels like something you might be interested in, this rapid detox center may be just what you need to overcome your addiction. What Are Some Potential Risks of Rapid Detox? Of course, as with any intensive program, there are potential risks that are associated with rapid detox. Because rapid detox is such a complex medical procedure, it is possible for complications to arise. For example, the patient may have a bad reaction to a medication being used and experience greater issues. It’s also possible for the patient to experience a number of mental health conditions from the process. At the end of the day, results differ from person-to-person. While some experience significant benefits in rapid detox, others may experience adverse effects. It’s always in your best interest to conduct plentiful research on the procedure as well as speak with your doctor. While rapid detox can be incredibly helpful in overcoming your addiction, it’s best to understand exactly how the process works and if it’s right for you. Is Rapid Detox Right for You? There’s no denying that the process of overcoming addiction can be overwhelmingly challenging for addicts. While the entire process has proven to be extremely difficult, the withdrawal from the drug itself is what addicts deem the worst part. This withdrawal is characterized by intense flu-like symptoms, emotional imbalances and inability to sleep. Fortunately, there are options available to addicts that are interested in minimizing these symptoms. Rapid detox helps to speed the process of withdrawal from the drugs and allow the process to be more peaceful for the patient. While it’s important to make yourself aware of the risks, rapid detox can be a fantastic option for many drug addicts. To discover more about staying on top of your health, explore the health section of our blog.